I know that many schools throughout the country have already gone back to the classroom, cutting summer way to short. We still have one last Hoorah before we go back next month. But to get my kids ready for the dreaded first day of school, I've already started talking about clothes shopping and buying those back to school supplies. They groan and yell at me every time I bring it up, but you have to keep plugging on. Maybe if I showed them all these fun Back to school party supplies, they'd be as excited as I am about the big day...okay maybe not, but one can try, right? 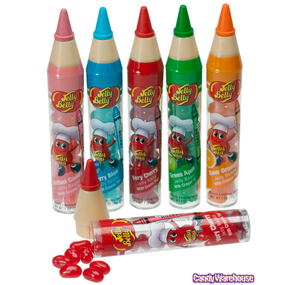 How cool would these Crayon banks be to fill with candy and then send home with the kids as a party favor? A great idea to help the kids save for next summer's vacation or Christmas break. I just love how this buffet caddy keeps all your party essentials in a compact, organized space. This caddy won't take up a lot of space on your buffet table but will make your silverware and napkins easy for all your guests to grab. 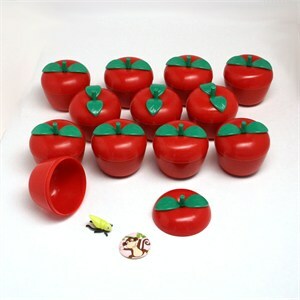 These apples are designed to be filled with toys and treats to put a new spin on the old bobbing for apples game, but could easily be filled with erasers, bookmarks, and other school supplies as a party favor for your back to school party. 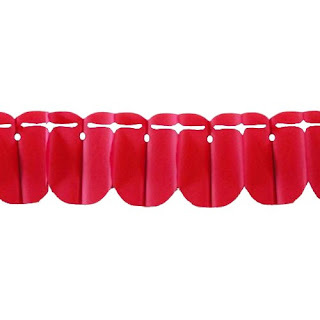 If you are going for a traditional Back to School party theme with apples, this apple garland would make a great backdrop behind your dessert table or hanging through the party room. The bright red color is eye catching and the 6 foot length is long enough to stretch across your photo booth backdrop or dessert table. Welcome your guests to your back to school party with a personalized banner hanging outside your door or house. 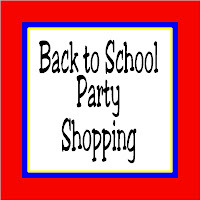 The school supply theme is great for the party I'm planning and would fit perfectly with a Welcome Back design. 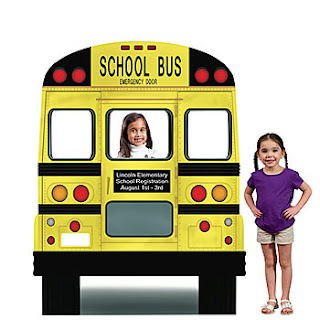 With only a few yards of this fun School days fabric you would have a unique and fun table cloth for your Back to School dessert table. 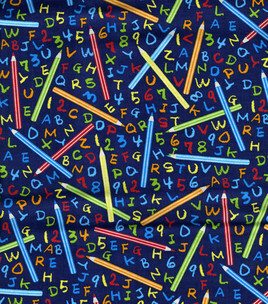 The different color letters and numbers with the long lines of color from the pencils make this fabric colorful but not too distracting. This lets your treats do the talking and the fabric be the exclamation point! These alphabet letters would be a great way to make your drinks cold while still keeping with the Back to school theme. How fun would it be to make them in red, yellow, or blue koolaid and then place them inside 7up? The colors would really pop and the kids could practice there ABCs in fun, yummy style. 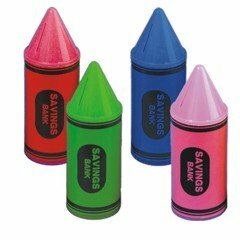 These candy crayons are such fun. You can have the kids play with them by doing coloring books or work books and then they can reward their hard work by eating the yummy treats inside. My kids have enjoyed these before and they are certainly a fun way to have to do your homework. If you have to go back to school, why not do it in sweet style? 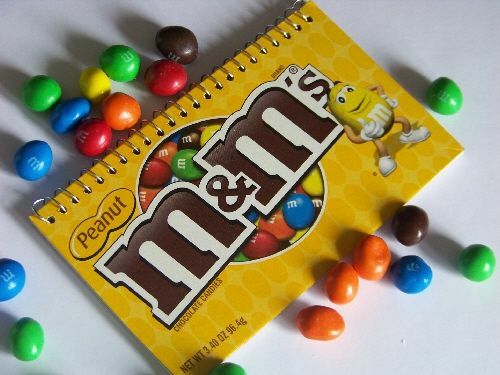 This candy notebook would even make writing your homework notes a fun task since it's made from a real M&M candy box. You can almost smell the chocolate. 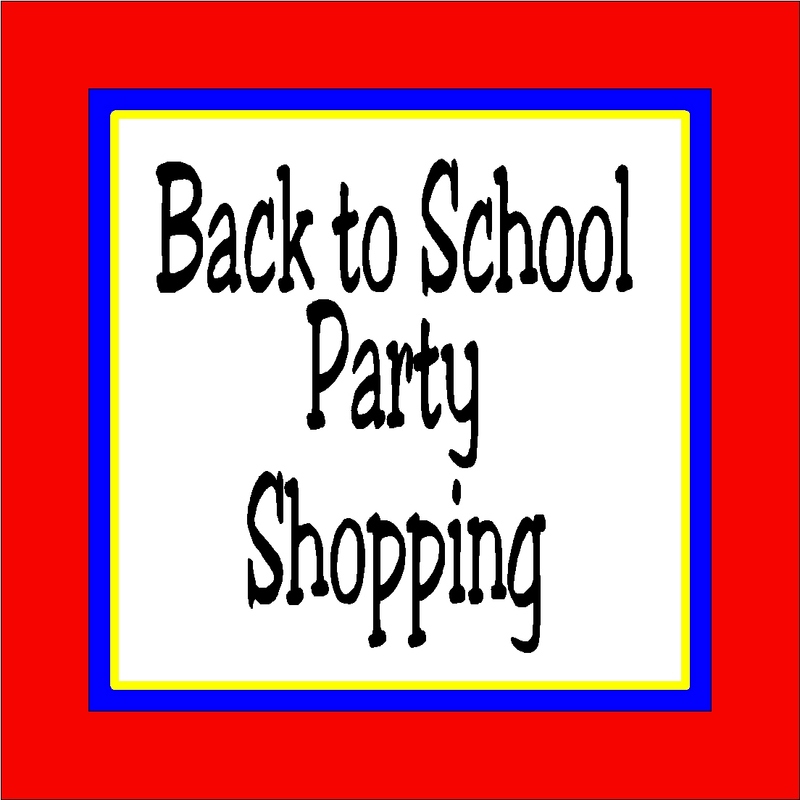 Do you plan to have a Back to School party this year? What are you doing to make it more memorable and fun?